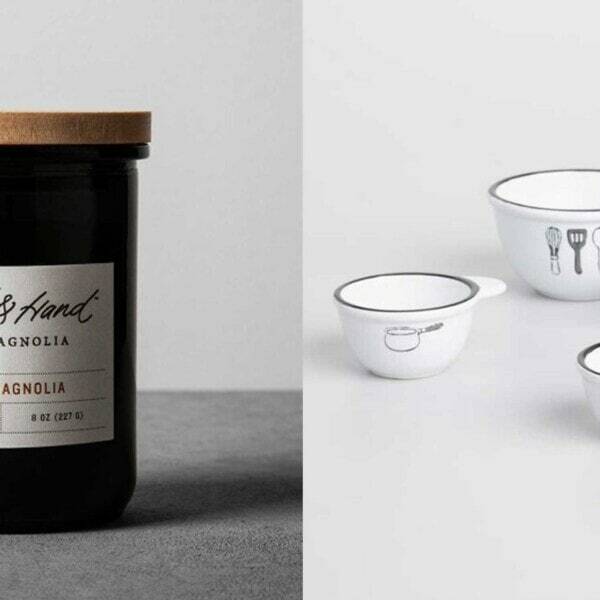 To get you through the Monday blahs, I thought I’d share 5 of my favorite Instagram accounts that are packed full of farmhouse yumminess. Prepare your eyeballs for a feast! Patsy and her husband have built a beautiful farmhouse for their precious family of three girls. 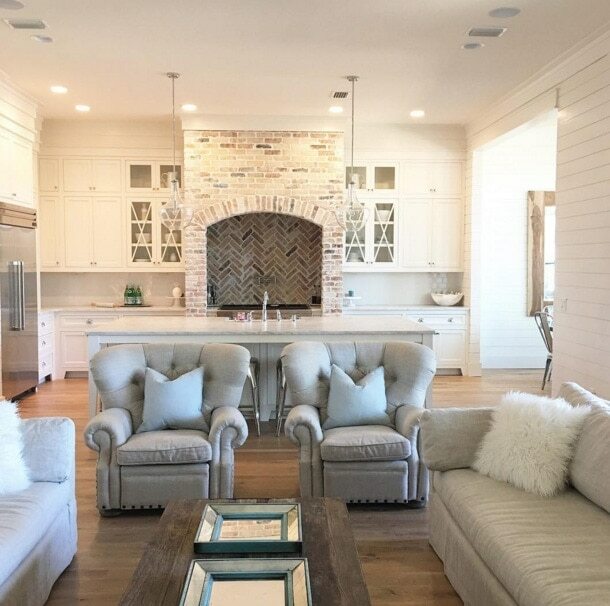 The details in this house are amazing – from the reclaimed brick walls, old barn beams, super tall baseboards, gorgeous light fixtures, and more – I could stare at her feed all. day. long. 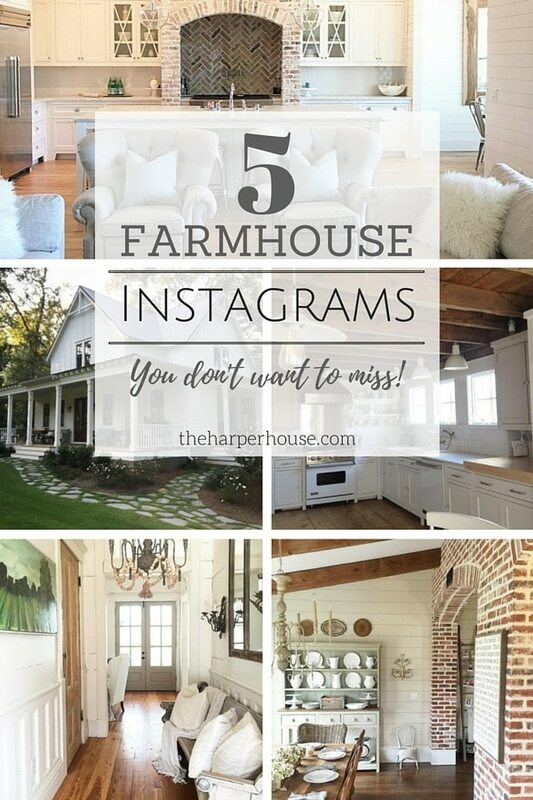 Lauren’s feed is another insanely gorgeous instagram that documents the building of their own sweet farmhouse. You will not want to miss the fabulous room they created for their little girl (with the most beautiful Rifle Paper & Co. wallpaper.) Also…she wallpapered her FRIDGE! 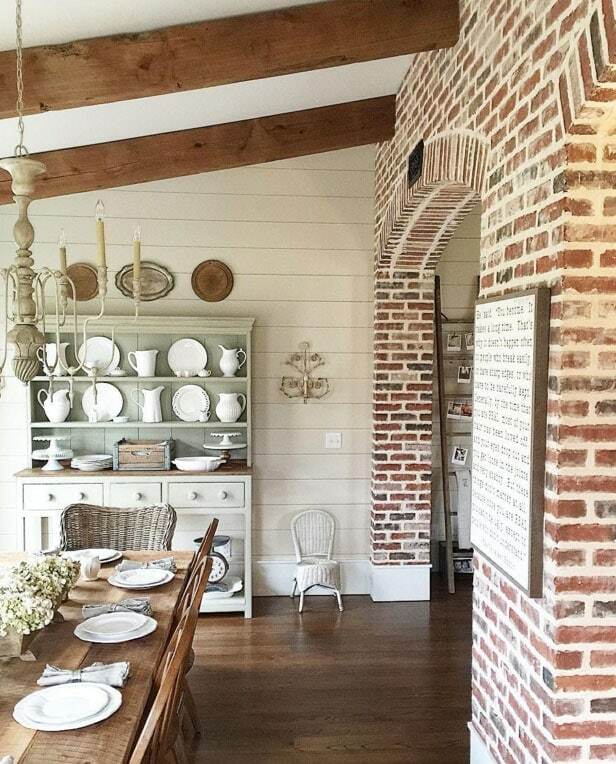 As her IG name implies, this feed features the building of a STUNNING farmhouse…on the COAST! 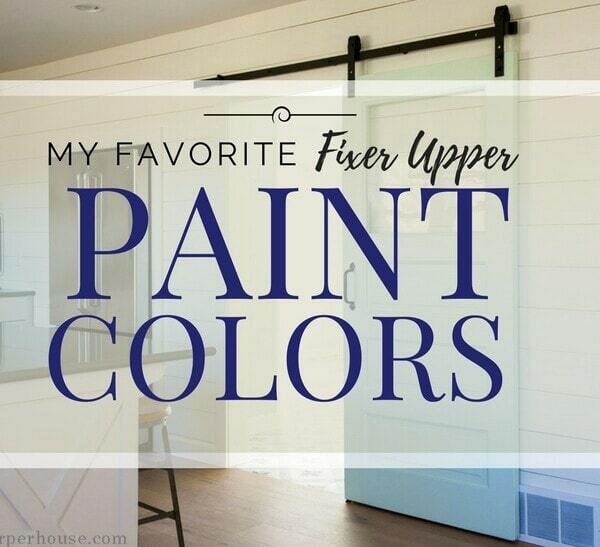 Warm weather + awesome farmhouse details like shiplap, wood floors, bronze windows, and barn doors… YES PLEASE! 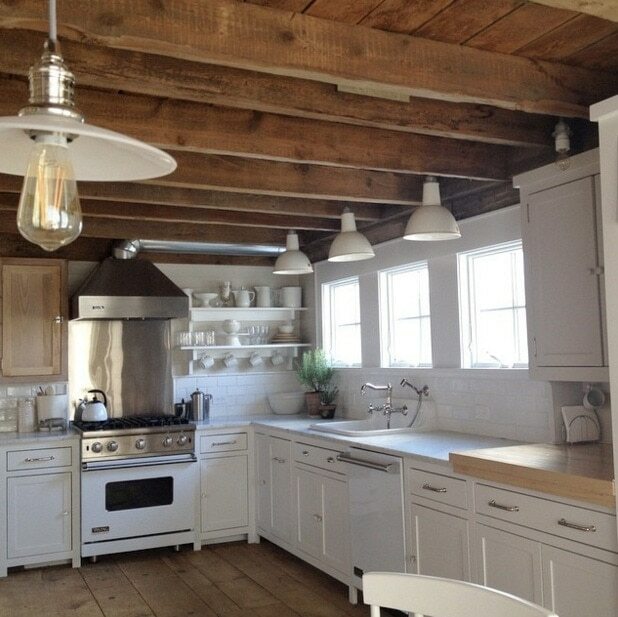 This beautiful account documents the renovation of the couple’s 1800’s farmhouse on Long Island. She has a beautiful eye for detail and has brought this old house back to life in the best of ways. Her use of varying shades of white paint, bleached original wood floors, with antique pine cupboards sprinkled throughout will have you drooling (or maybe that’s just me?) She also runs a brick & mortar store with the same name in Long Island’s North Fork. So go check it out if you’re on the east coast! sigh. 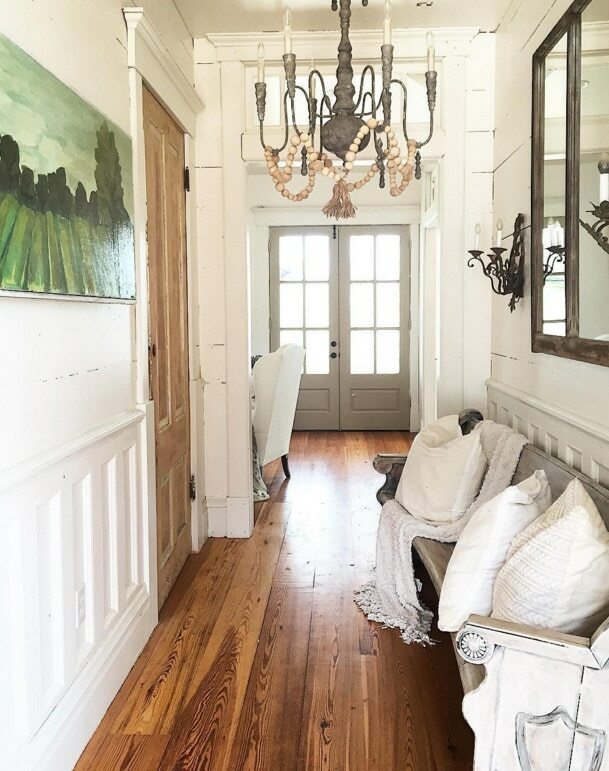 Isn’t this little hallway perfection? The lovely church pew filled with comfy pillows, soft colors of creamy white with the taupish gray double doors, the chandelier with wooden beads added for texture, the gorgeous painting… I think I could live here – you? Tim & Natalie are so very talented. I just love their farmhouse and design aesthetic. 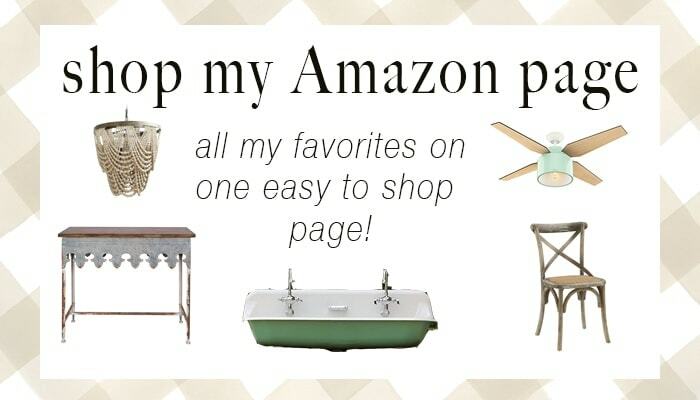 Be sure to check out her PAINTED wallpaper designs. Wish I had the courage to do that! So there you have it friends! 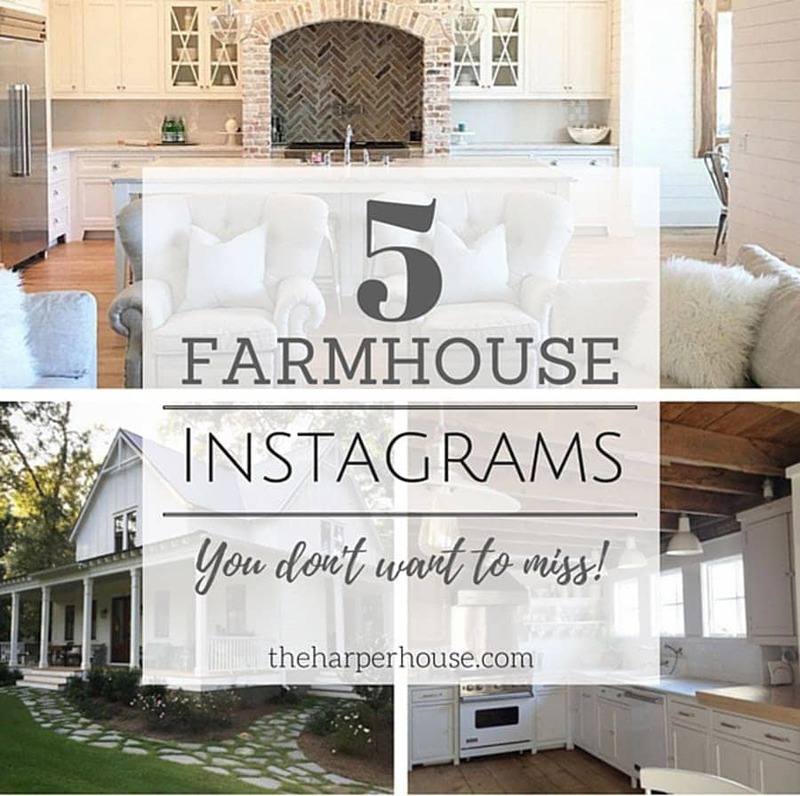 If you love farmhousey goodness, be sure to check out those awesome instagrammers. Also, I’d love it if you’d follow ME too 🙂 @theharperhouse. I’m still a baby instagrammer compared to the above accounts – but I’m working on it, one day at a time. Sometimes it’s hard to keep up with all this social media madness! **check out what I just found on AMAZON! 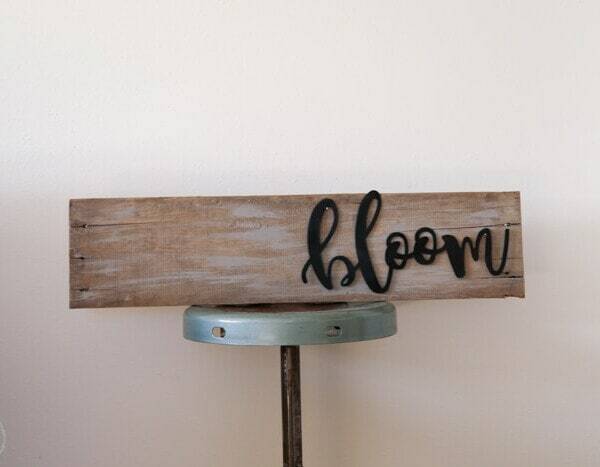 I am loving all their farmhousey decor lately, and they usually ship super fast too! 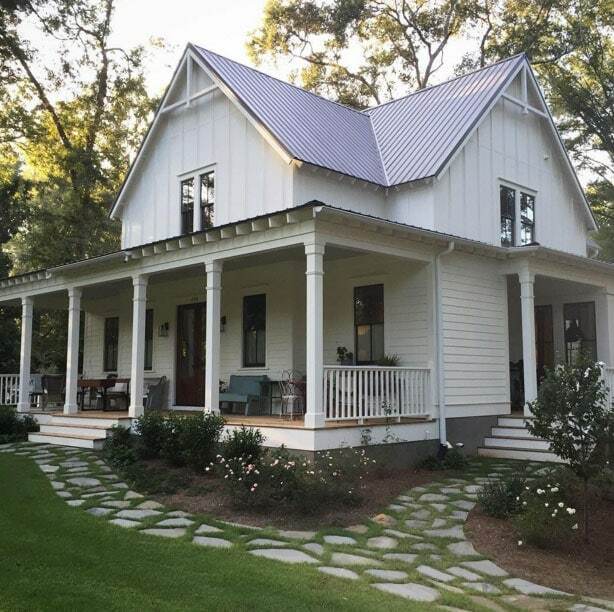 previous article: Flip House Update: It’s Shiplap Week! I still have not conquered instagram. I hope to learn how to post on it some time this year. This certainly inspires me to. But far more than that, as decorator, I am super inspired by these gals. I can decorate like crazy on other homes and even my vacation rentals but when it comes to my own home…I flounder. These pics are giving me great ideas! 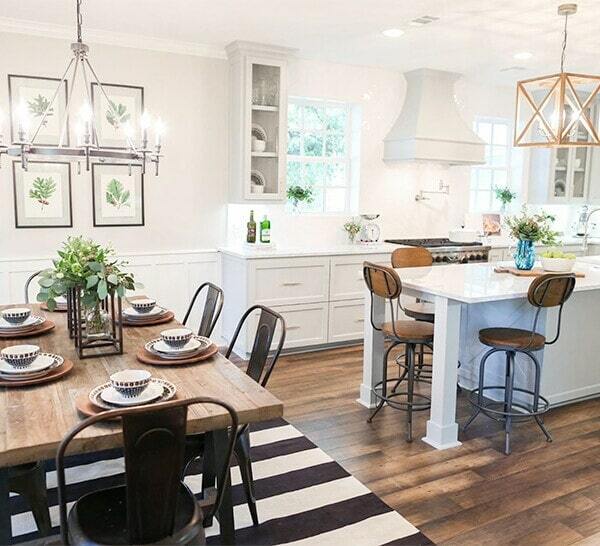 Would love to know where the chandelier in the dining area is from! Isn’t that fixture awesome? I’m not sure where Patsy got it, but check her out on Instagram @blessedmommatobabygirls and she might let you know. She’s super sweet 🙂 Thanks for reading, Tifani! Where did you get the chairs in the living room?